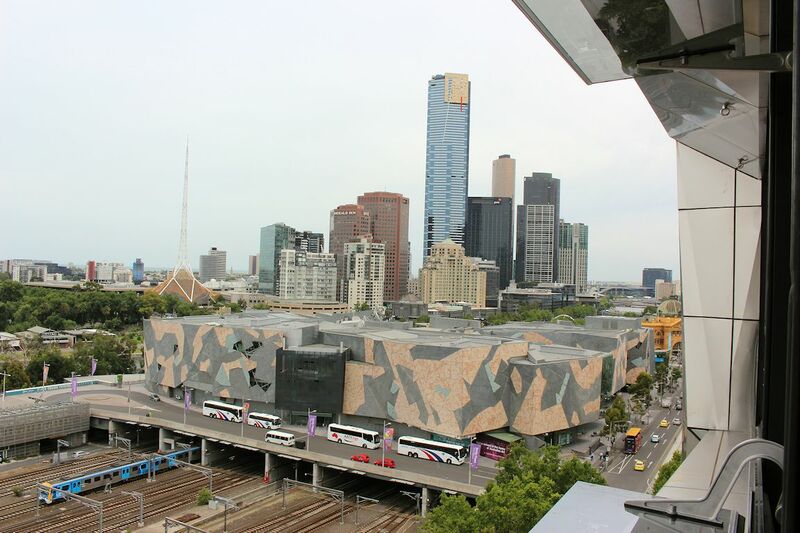 Urban Melbourne was recently afforded the opportunity to tour 108 Flinders Street; completed during the latter part of 2014 and fully inhabited, the tour provided an opportunity to see how the new architectural landmark interacts with its surrounds. Riverlee sales and marketing director Kristine Lee was on hand to explain the rationale behind many of the small nuances that combine to deliver the impressive building. Separate facades address both Flinders Street and ACDC Lane, aiming to reflect the highly different context of each frontage. The Flinders Street edifice is a response to the surrounding urbanity with the facade's stainless steel elements reflecting the tram and rail lines which it faces according to project architect Fender Katsalidis. 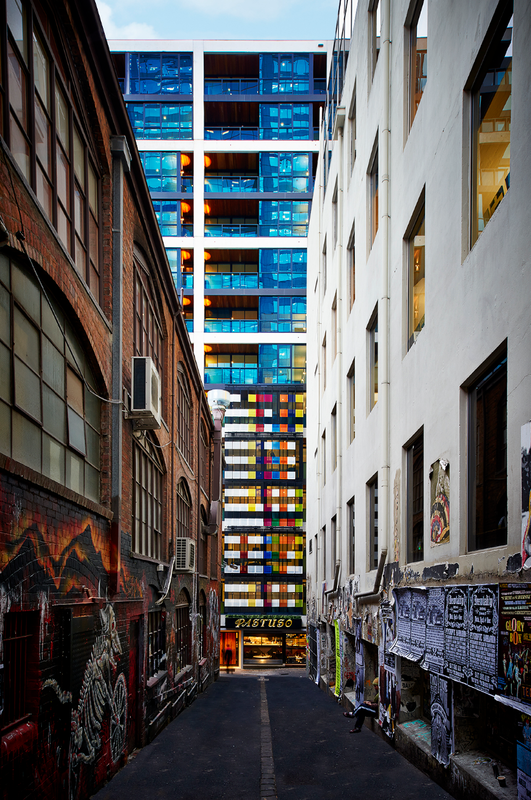 Conversely the northern facade employs a broader colour palette and style which is designed to echo its immediate surrounds; the scruffy and grafittied yet highly popular ACDC Lane and Duckboard Place. 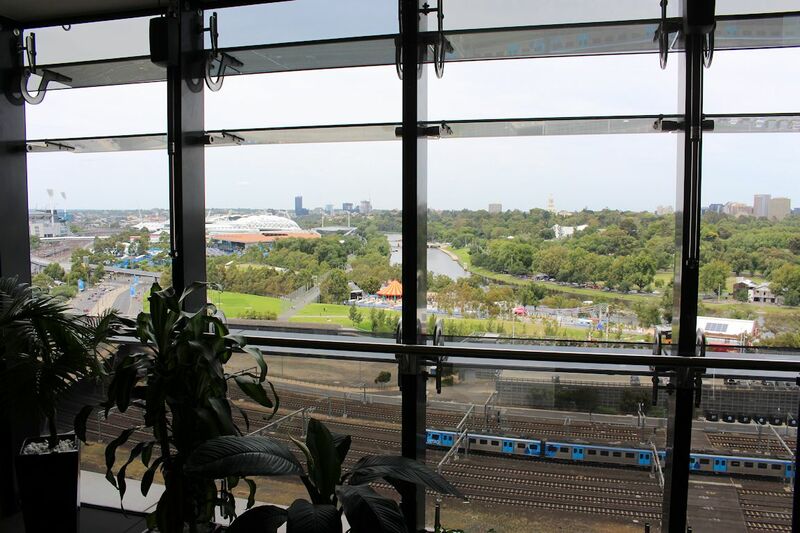 It's 108 Flinders Street's internal common areas which provides the wow factor for the inhabitants of its 190 apartments. 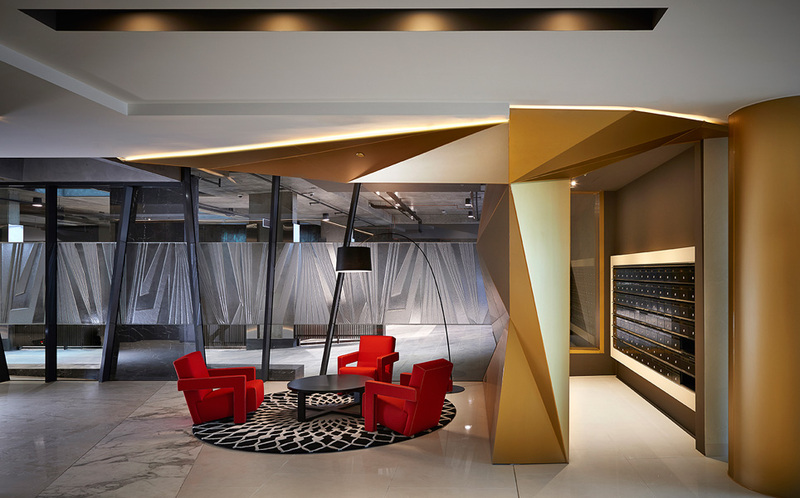 Elements of the original building have been retained and are prevalent throughout the main lobby while a bronze sculptural piece created by Pasquale Marinelli in 1968 has been positioned as an eye-catching lobby feature. 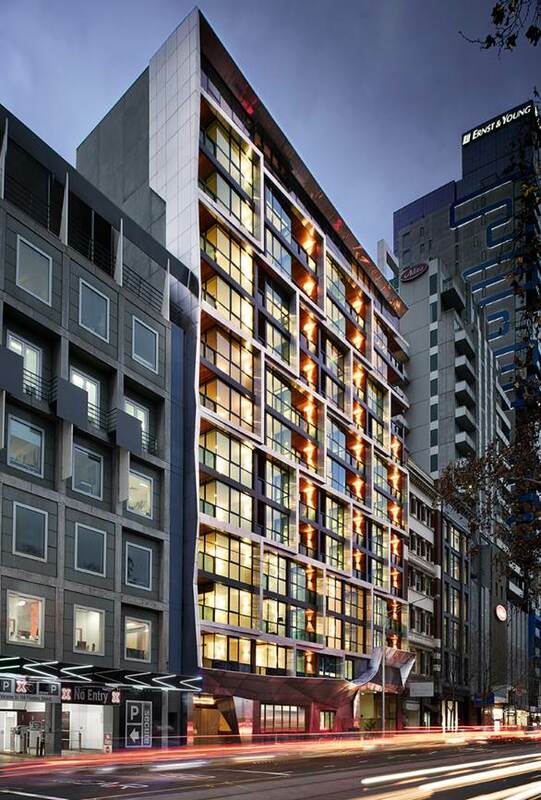 Easily the most opulent of any residential project toured by Urban Melbourne is 108 Flinders Street's vehicle entry. A porte cochere entry featuring blue stone, copper, stainless steel and marble frames the area. 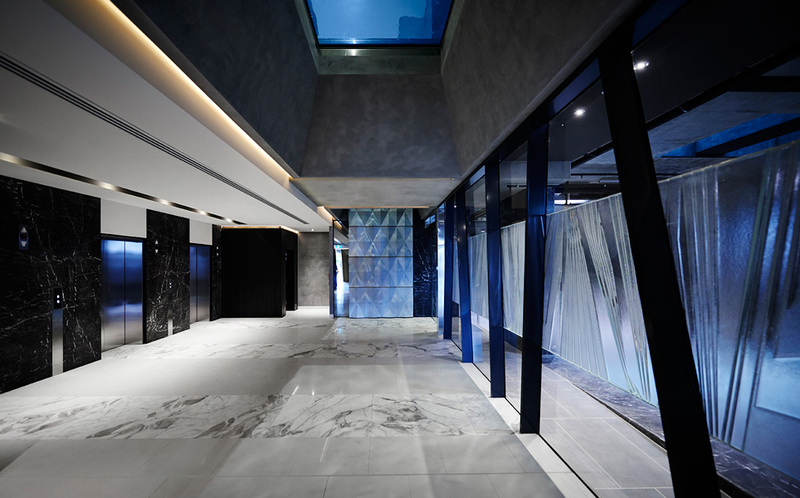 Connecting the car park level, lobby and communal courtyard is a transparent water feature which draws light into the space and in essence provides design continuity to all communal areas. 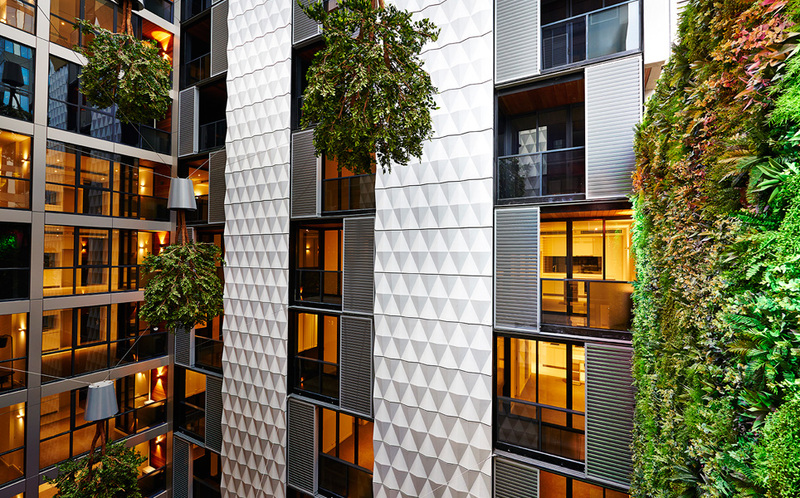 Dubbed the Garden of Eden, 108 Flinders Street's internal courtyard is a focal point that provides all internal facing apartments with a spectacular feature. 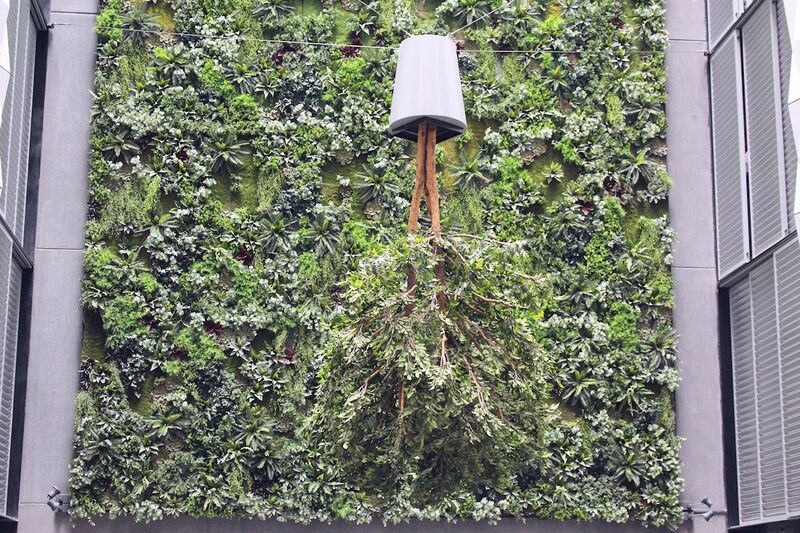 Emerystudio delivered the impressive internal wall mural with Fender Katsalidis and Tract Landscape Architects jointly devising the open air courtyard. The surreal garden mural, waterpond skylight to the level below and an upside-down tree sculpture suspended mid air via a network of cables define the space. 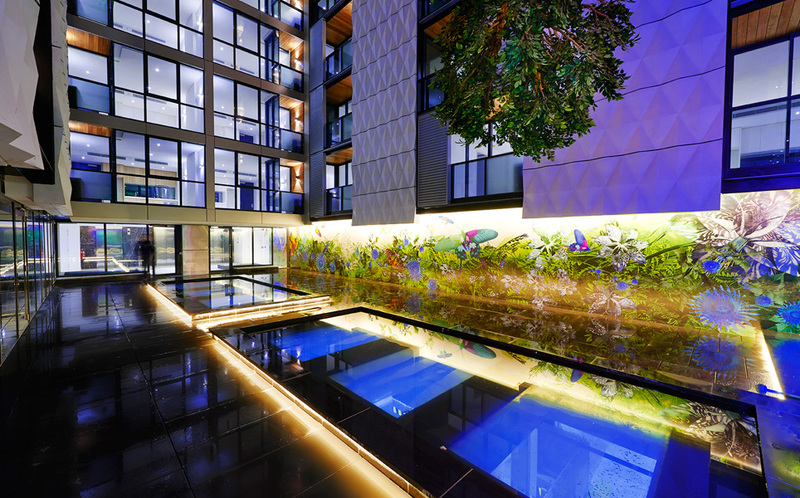 Described as an urban retreat for 108 Flinders Street's residents, the courtyard is amazing and particularly so when the myriad of lights illuminate the space during the evening. Internal courtyard aside, communal facilities also include a private gym and residents lounge which provides space for entertaining large groups. 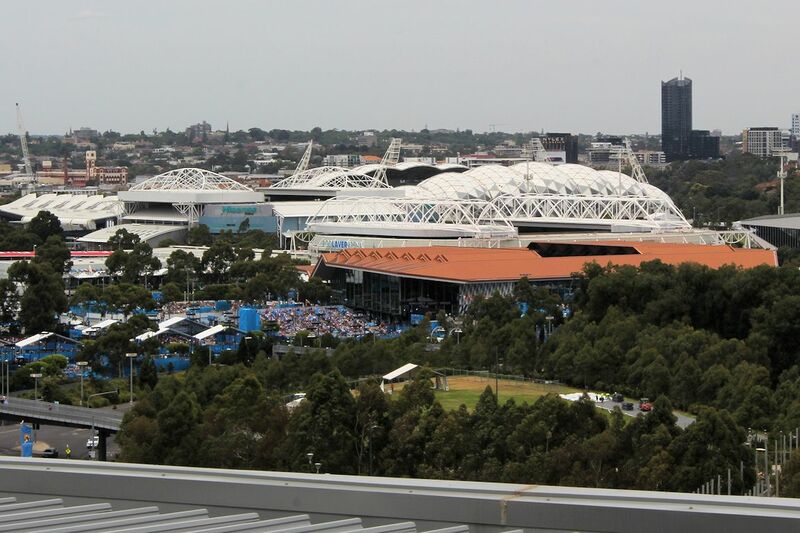 In addition the level 12 rooftop terrace and barbecue area provides residents with panoramic views encompassing the MCG, South Yarra, Federation Square, Southbank and much of the CBD. 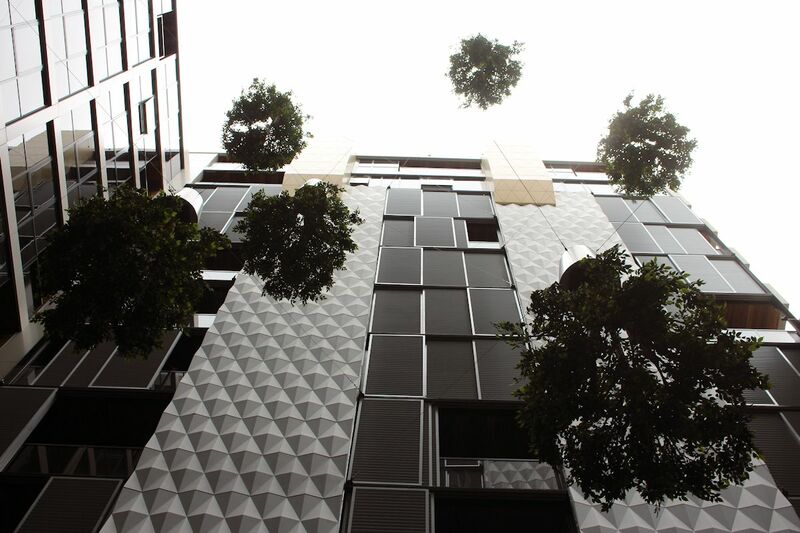 How 108 Flinders Street addressed the adjoining ACDC Lane was key do delivering a successful project. 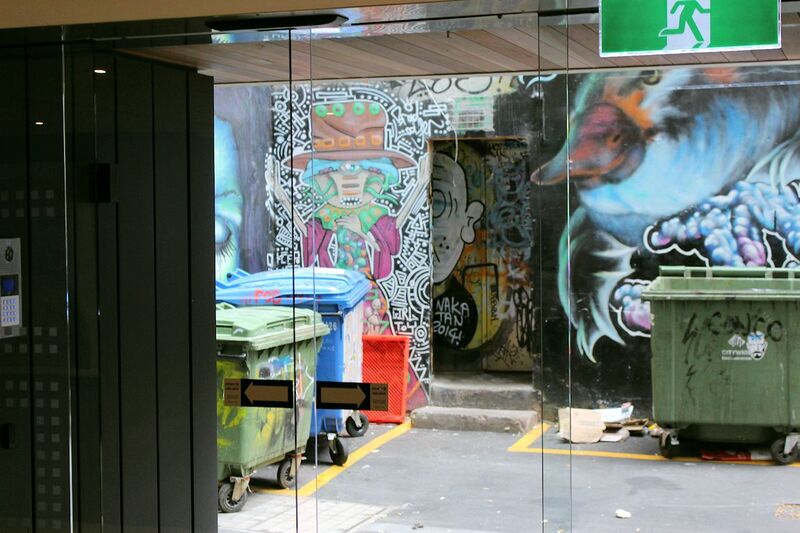 The significant music, food and cultural hub at the rear of 108 Flinders Street required a novel way of maintaining privacy and noise mitigation to the immediate apartments, while also delivering an outcome which fits with the unique character of ACDC Lane. 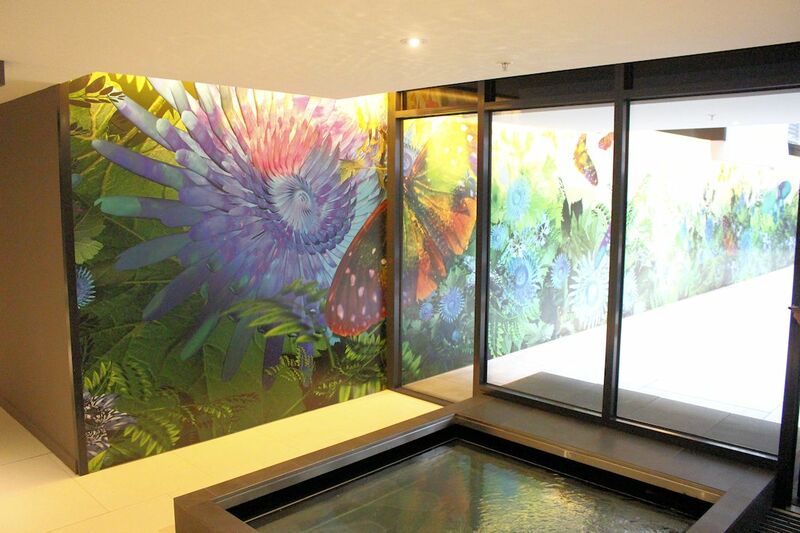 Emerystudio was commissioned to provide artistic flair by way of an art wall, which in turn provides privacy to lower apartments located at the rear of 108 Flinders Street. Individually operated, the art screen can be maneuvered and thus acts as a constantly activated large scale art piece. It is designed to respond to the grainy richness of ACDC Lane and, with the inclusion of a new restaurant, enhance the culture of the precinct. 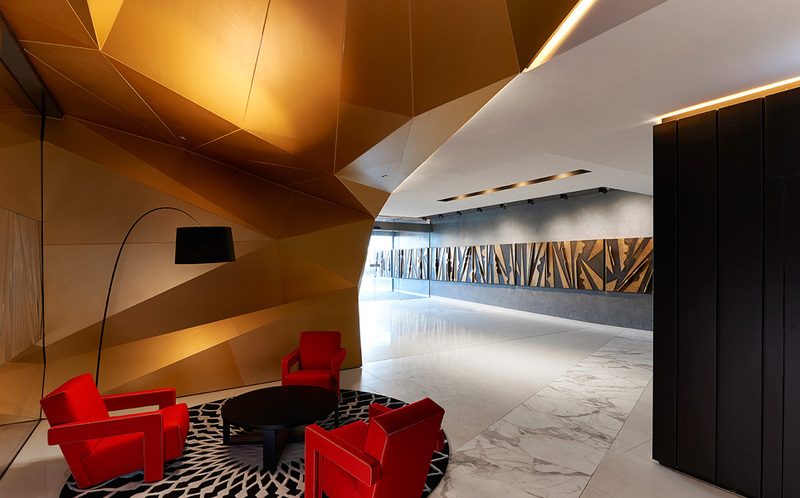 Our practice enjoys, wherever possible, to create an architecture that contributes to the richness of our city through the thoughtful integration of art into the building fabric, often working in close collaboration with Melbourne artists. 108 Flinders is a sculpture in its own right, which embraces the diverse fabric of our city through its precinctual responses. Slotting in at ground level is Pastuso, a Peruvian inspired restaurant which has seamlessly fitted into its surrounds. The building-high courtyard/atrium assists in allowing maximum light into apartment interiors while all external windows are double glazed for minimal solar penetration and noise reduction. Apartments feature fixtures and finishes such as marble accents around doorframes, custom joinery and timber panelling. Kitchens carry Miele appliances, stone bench tops and mirrored splashbacks, while bathrooms are fitted with Apaiser basins, floor-to-ceiling tiles and Grohe tapware; finishes expected in a quality apartment project such as 108 Flinders Street. Urban Melbourne also visited one of three penthouses which carry top flight finishes such as reconstituted stone bench tops, timber floors, Gaggenau kitchen appliances, integrated Liebher fridge and wine fridge plus Gessi Italian tapware. 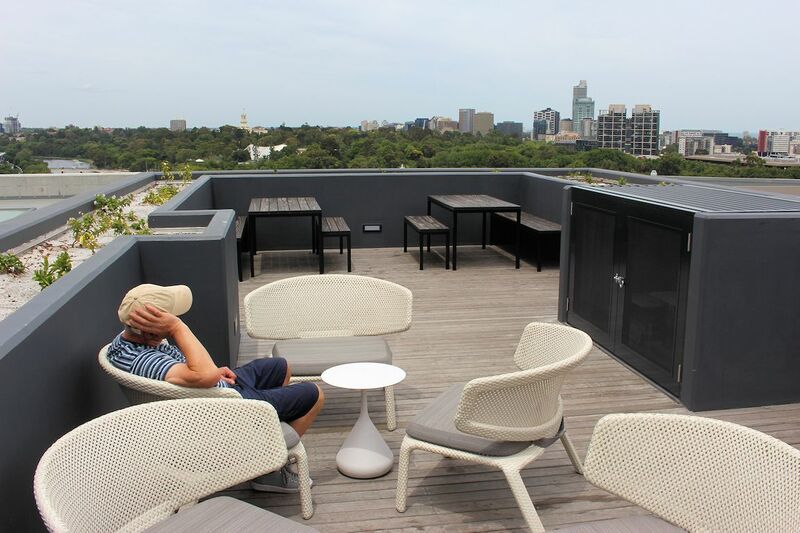 A feature unique to the penthouses are light wells located between the main bedroom and living spaces which double as a private garden area while motorised louvered windows fronting Flinders Street allow for the sight and sounds of the city to penetrate at the residents whim. 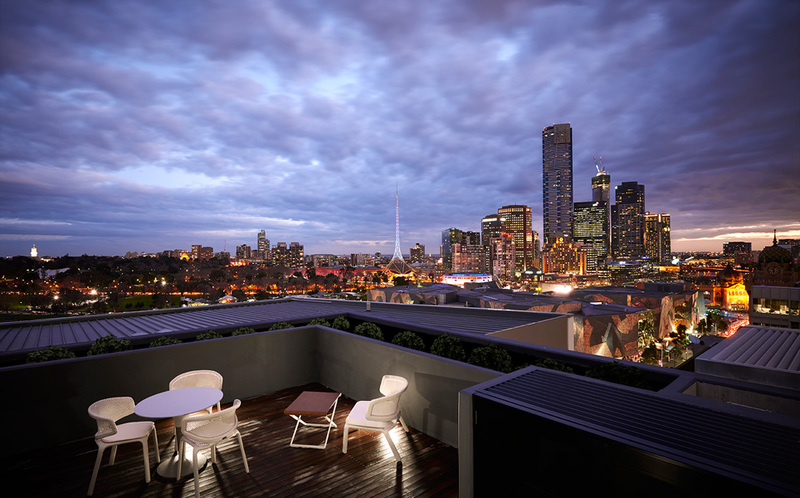 All in all 108 Flinders Street is a highly commendable apartment building and a worthy of its exceptional location. Select images above and below is the work of local photographer Dean Bradley, with a smattering of our own images included.